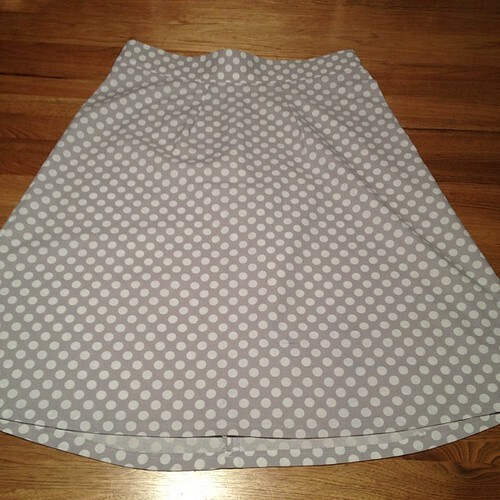 Regardless, these skirts form the basis of my love of sewing. It was sewing not only for purpose but for the sheer joy of it. An afternoon spent at my parents house with a box of crazy notions, using my Mum’s old machine (which has followed me to where I am now) and calling down the hall for help if I needed it. 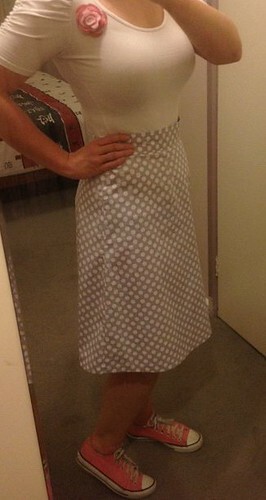 I had minimal skill, no serger, no pattern and just learnt to fit things in my own dodgy way to my body. It was wonderful! And I felt that a bit today when I realised I really didn’t have anything to wear to watch a derby bout tonight. The weather was stinking hot and my sundress was in the wash and I had less than two hours to go. 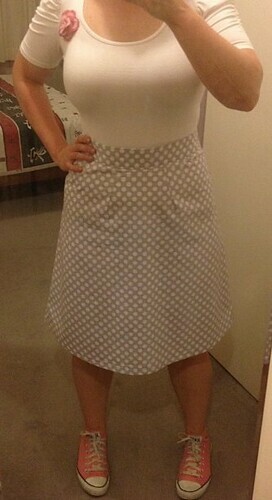 And it struck me- a-line skirt time! 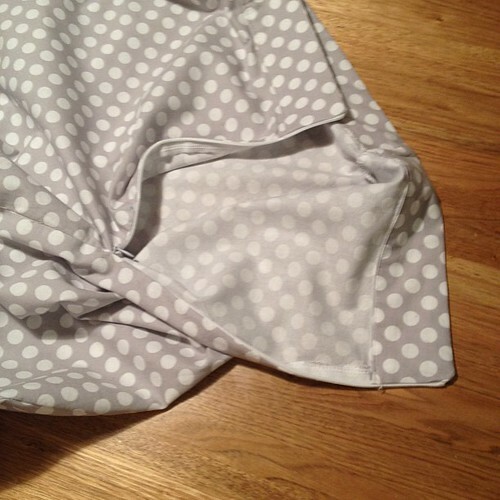 I grabbed my awesome new grey polka dot fabric, my modified Colette Ginger pattern and got cutting. And 97 minutes later I was wearing my new skirt. And it felt AWESOME! It is simply finished (serging win!) and so cottony and light. Match it with a pair of pink cons and a white shirt and it was good to go. I’m looking forward to getting started on some bigger projects soon but I think this was just what the doctor ordered. Gentle readers, do you have any special projects or sewing activities that revitalise you? Or is this just a Amanda thing? Symon- you’ll be there in no time! It’s so well worth getting some cheap and cheerful fabric and setting some time aside to play! (in my opinion) I learn so much just by trying to throw things together!